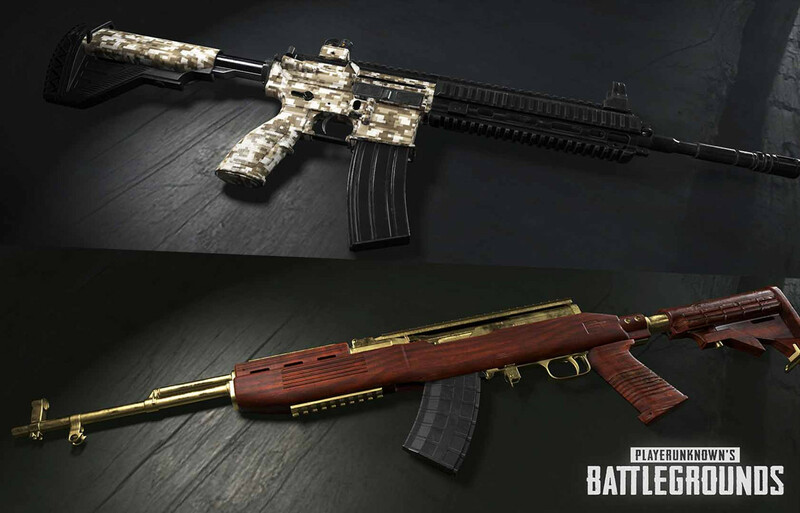 Weapon skins are coming to PlayerUnknown’s Battlegrounds on PC, PUBG Corp has announced. The skins will be the only item available in two new crates – Triumph crates and Raider crates. Raider crates are free, won’t require a key to unlock, and will commonly contain beige skins. Lucky players might find turquoise or silver skins within. 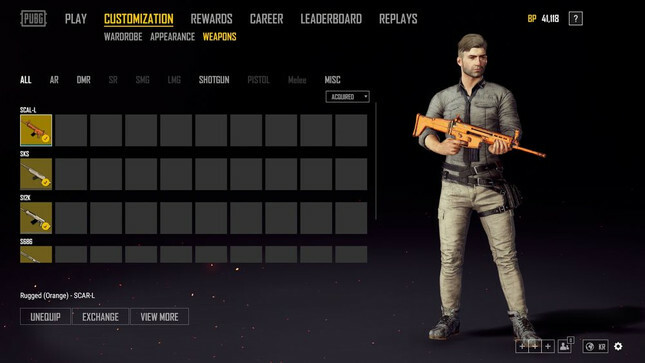 Triumph crates can be unlocked using Weapon Cosmetic Keys purchased through Steam, and commonly contain orange skins, although lucky players might get a gold skin. If you pick up a custom skinned weapon in a match, you and others will see the skin for the rest of that round. Skins are going live on the test server today. In related news, it turns out that despite recent comments made by Brendan "PlayerUnknown" Greene to the contrary, PUBG Corp will soon be trialling region-locked servers. "We are always working towards improving the gameplay environment," reads a new community post from the studio. "This includes providing stable network experience for our players. You all know that we have implemented ping based matchmaking system that has shown great results but we didn't want to stop there. "One of the solutions we are considering is operating servers so that only those players who reside in that region can connect and play. These servers will be made invisible to players residing in other regions. “But, at the same time, if a player in an exclusive server region forms a team with a player from another region, they can connect to and play on any of the servers available to either of them. Through this new approach we are aiming to provide a better gameplay experience as it will improve network issues and help with linguistic barriers."